I adore living in Miami. Aside from our mouthwatering guava pastries and the delicious/ever-flowing café con leche, having access to the water is a huge plus for me. As of a year or so ago I've been extending my water adventures to the realm of paddleboarding, and while I am pretty sure I am not very skilled at the activity -- I love it. 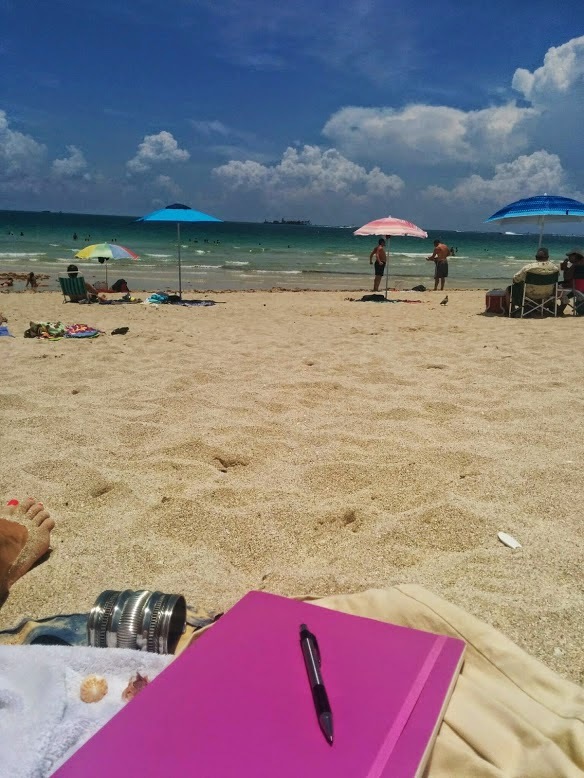 Taking my usual coastal exploration slowly and relatively silently into the bays and channels around Miami has been a wonderful source of inspiration and meditation for my work. My paddle board (affectionately named Lulubelle) has given me a literal platform with which to observe and enjoy the natural world of South Florida from a totally different perspective. 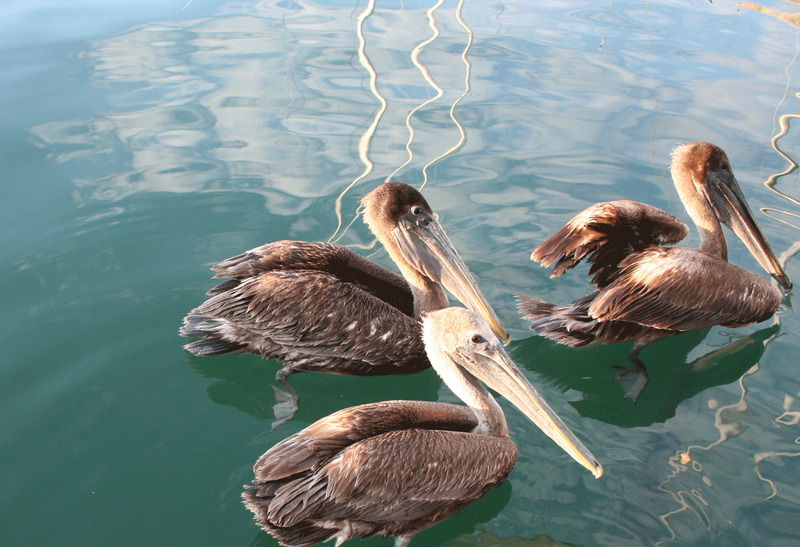 Pelicans have always been one of my favorite animals. Being able to paddle out to the buoys and old abandoned docks they frequent has given me a chance to get up and close and personal with these beauties, and I am so grateful for it. I went paddleboarding this past weekend up at Oleta and while I didn't see any Pelicans I did manage to get stuck in a small storm. As invigorating as it was to fight the rain and the waves, having a friend in a kayak tow me to the rest of the boats was incredibly welcome. 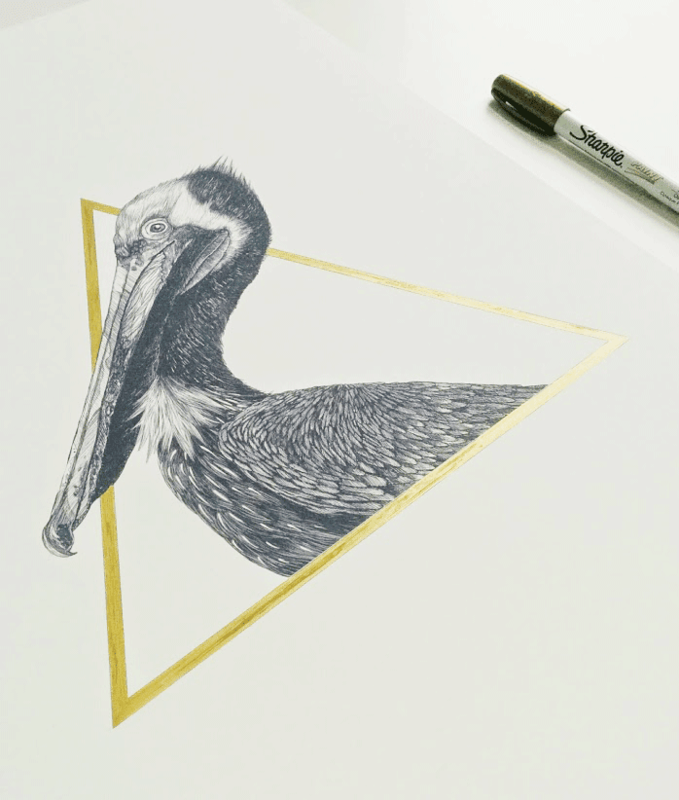 After I returned home (and napped), I set to drawing the pelicans I didn't happen to see that particular day. I added the gilded triangle this morning to finish up the 13 x 19 illustration. I love quick little projects like this, but am now just aching to get back on the paddle board and find something new to draw.